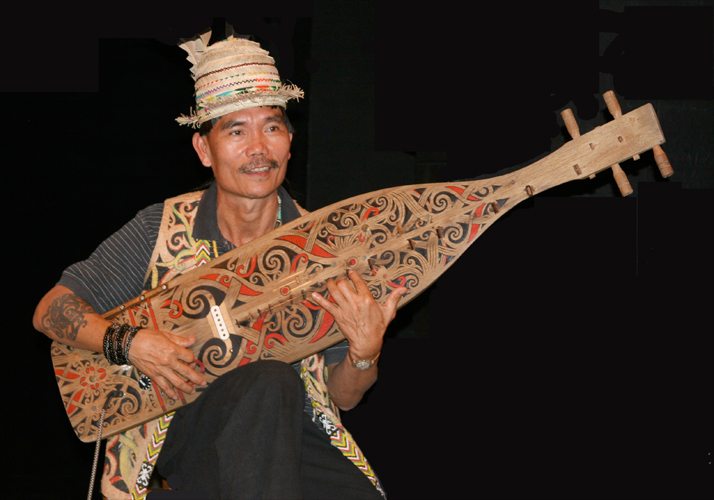 Mathew Ngau Jau is an acclaimed master of the sapeh, the traditional lute-like instrument of the Orang Ulu people who live in the longhouses along the rivers of Central Borneo. It was originally used for ritualistic music to induce trance. Its intricate rhythms may also be inspired by dreams. Mathew is an accomplished painter, traditional Orang Ulu dancer, and blowpipe marksman. This CD has 15 songs. It is very relaxing - perfect antedote at the end of a stressful day!